4G LTE devices are usually a bunch of fatties because the size of 4G LTE modules is ginormous (relatively, at least). Sometimes that tradeoff is too much! 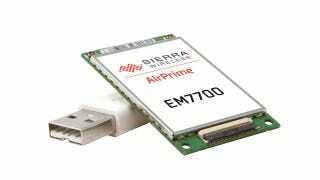 But it looks like things are a-changin' because Sierra Wireless just introduced the world's thinnest 4G LTE module at 2.5mm skinny.